[et_pb_section fullwidth=”on” specialty=”off”][et_pb_fullwidth_header admin_label=”Fullwidth Header” background_layout=”light” text_orientation=”left” /][/et_pb_section][et_pb_section fullwidth=”off” specialty=”off”][et_pb_row][et_pb_column type=”4_4″][et_pb_text admin_label=”Text”]Each month Personal Injury and Accident Claims Portsmouth will bring you top tips for avoiding personal injuries and accidents. This month we have a feature on avoiding bicycle accidents. 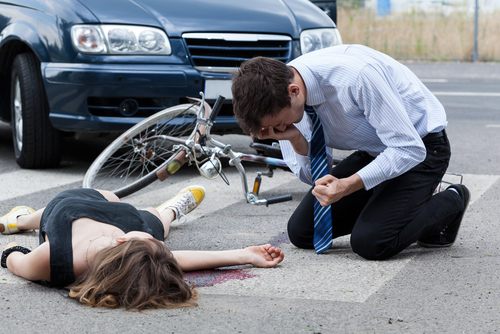 Many road users are all too aware of the dangers cyclists can pose, often to themselves and car drivers. However if you are a cyclist there are a number of precautions you can take. Make sure you can be seen by other road users, especially when it’s dark. This means having front and rear lights, reflective clothing or strips on your bike, and always wear a crash helmet – this can be vital in an accident and could save your life. Please give people on bikes plenty of space. One tip is to think of how much space you’d give a horse in the New Forest when overtaking – about 1.5m. Cyclists are advised to ride away from the kerb, a ‘door’s width’ from parked cars and centrally through narrow points. This means cyclists will sometimes ride in the middle of the lane so they can be seen. They are not trying to annoy drivers. While many riders can keep up with the flow of traffic, please be patient with the less speedy and wait behind them. Give cyclists room when overtaking, and don’t be tempted to ‘squeeze’ past as cyclists may need to swerve to avoid a hazard. Anticipate what is happening ahead of you – when approaching a junction or a narrow bit of road, consider just hanging back. Watch out for cyclists undertaking and going straight ahead at a junction as you turn left. Look down the nearside and be aware of your blind spots. Let people on bikes on your inside go ahead. You may need to be patient. Take a second look before getting out of your vehicle for riders passing by. Many inexperienced people ride close to parked cars. A blast of the horn directed at a cyclist is extremely loud and may unbalance some riders. Be considerate when tooting and only sound the horn (in line with the Highway Code) to warn of danger. Cyclists often need to swerve to avoid potholes, glass, oil, etc. These road obstacles are sometimes not apparent to drivers. Riders may be more visible out of bike lane riding with the flow of traffic (for example, where the cycle lane is positioned too close to the mouth of a junction). Cyclists may move out of a bike lane to pass slower riders, or may not want to use shared paths to give more room for pedestrians. The best way to know more about how to share the road with cyclists is to have a go on a bicycle. If you haven’t ridden for a while why not get a cycle lesson? If you are involved in a road traffic accident remember to take as many details from the driver as possible. This includes their name, address and phone number also their car registration number which will help police with their enquiries if required. You can also take photographs of the scene and any damages which may have occurred. If there were witnesses at the scene you should also take their details if they are happy to be used as a witness after the road accident. All of this information will help your compensation claim.